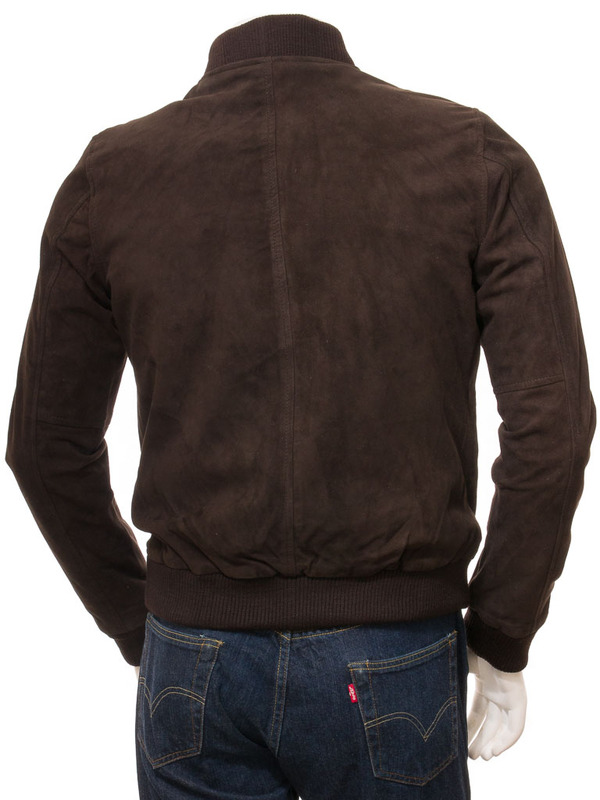 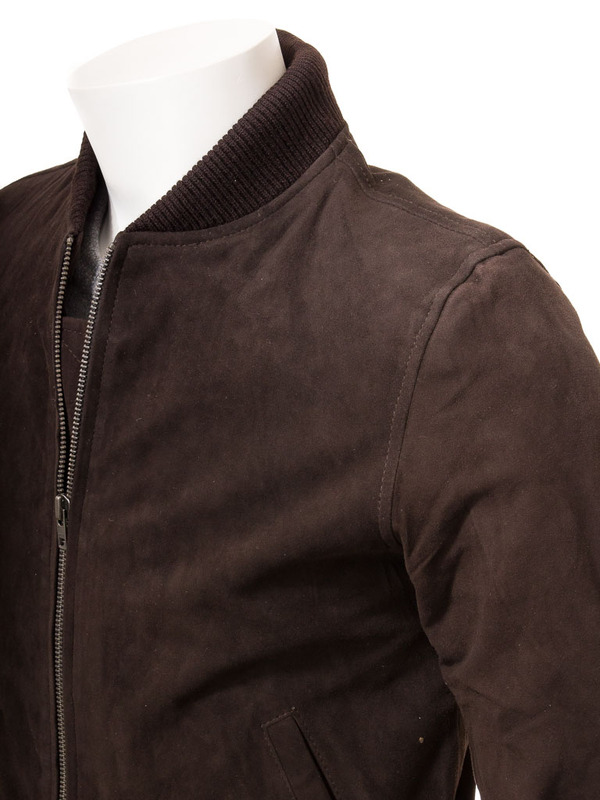 A simple, clean, brown suede bomber jacket based on the classic MA-1 flight jacket. 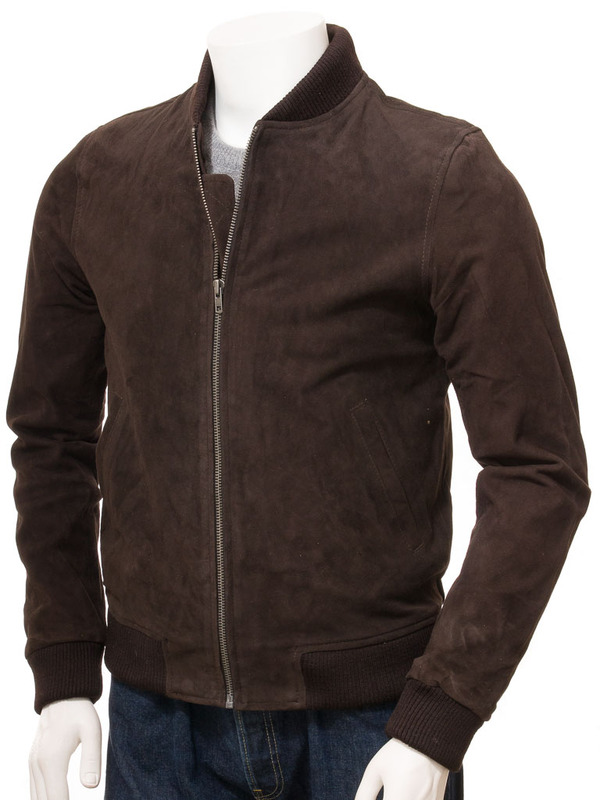 We have used goat suede because it is extremely durable yet also soft and supple enough to drape well with minimal creases. 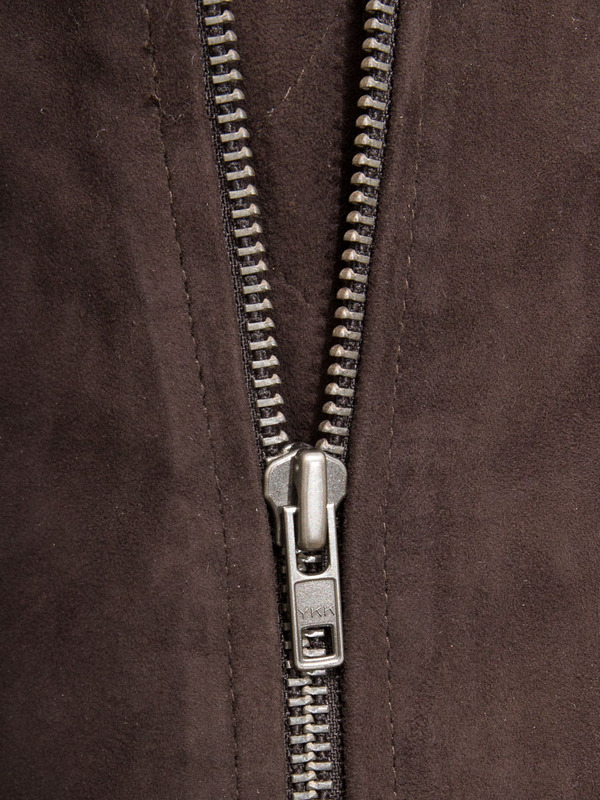 The YKK zip front is exposed with a wide, quilt stitch zip stand while the collar is a rib knit in the iconic varsity style. 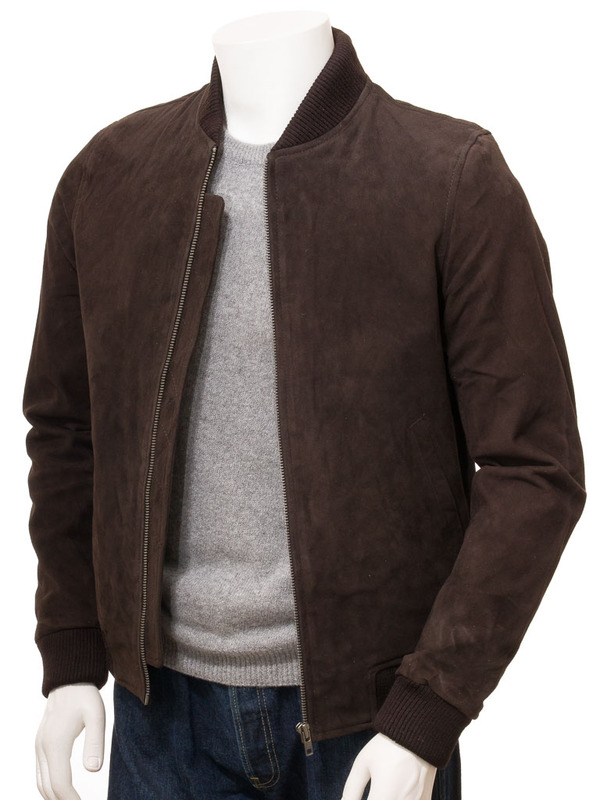 This, along with the rib knit on the collar and cuffs helps to insulate the jacket from cold air while also maintaining the silhouette of the jacket.